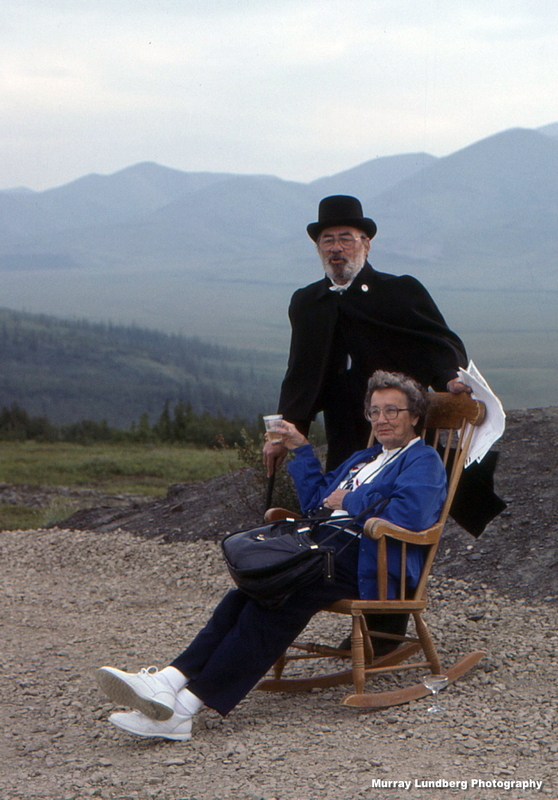 Harry was a wonderful showman, and would share stories and champagne with my guests as long as I'd keep the motorcoach there at the Arctic Circle before continuing on to Inuvik. I shot this photo in July 1991. This photograph is © 1991-2016 by Murray Lundberg, and is not to be copied without express permission.